The NATS road affords some colourful chance encounters. 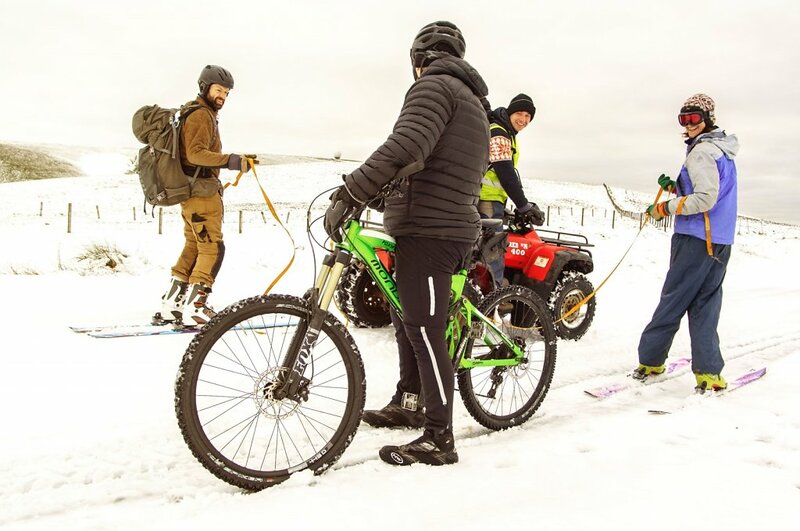 This time, the snow fencing work party volunteers meet with a mountain biker who uses metal-studded tyres to enjoy the ride to the summit all year round. On one side of the tow, we've woven pallet slatting into a stock fence as a cheap and cheerful solution to gather up wind-blown snow. November 2016 - Volunteers on the way up the hill to continue the snow fencing work.